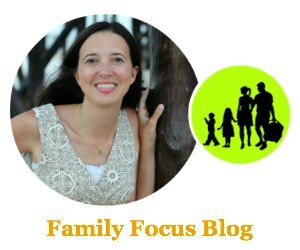 Thanksgiving and all those delicious Thanksgiving dishes are just under a week away and my little ones are excitedly making crafts to celebrate. 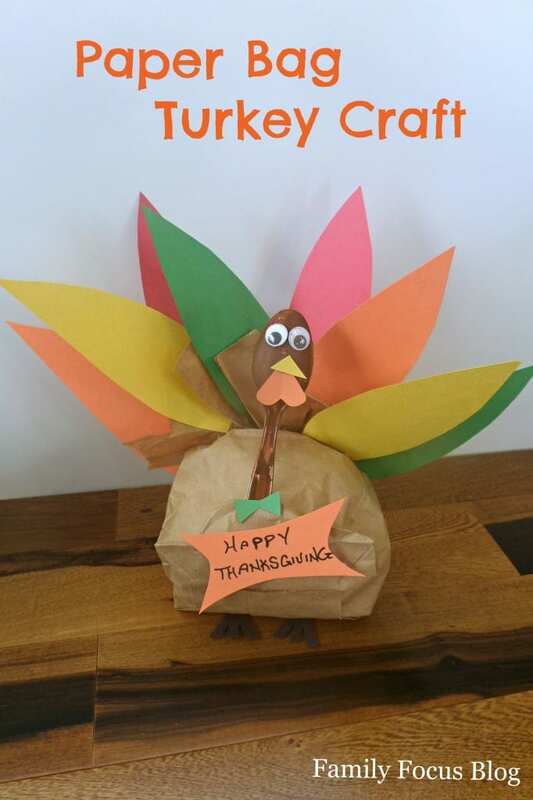 Our favorite Thanksgiving craft is this colorful and fun Paper Bag Turkey! It’s easy to make and you probably have most, if not all, of the supplies you’ll need on hand. This happy little turkey will be a great decoration for Thanksgiving Day. Begin by painting the plastic spoons with the brown finger paint and setting them aside to dry. 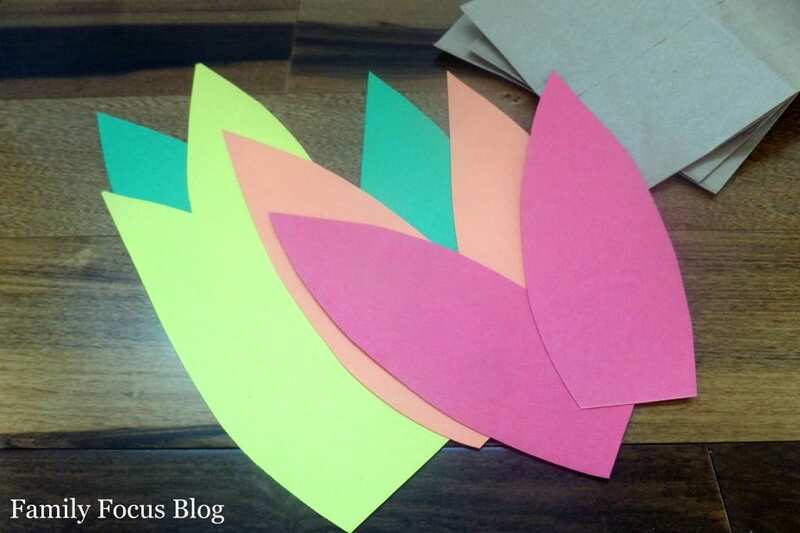 Next cut several pieces of colorful construction paper into feather shapes. They should be approximately 2″ wide and 6″ tall. Set these aside as well. Cut small yellow triangles for beaks, orange hearts (to turn upside down) for the turkey’s waddle, and black piece for feet. Stuff the brown paper bag approximately half full. Cut 1 1/2″ strips from the top of the bag, halfway down all the way around the bag. Carefully twist the bag just below where you have cut the strips. You may need to add a small amount of hot glue to secure the bag shut. 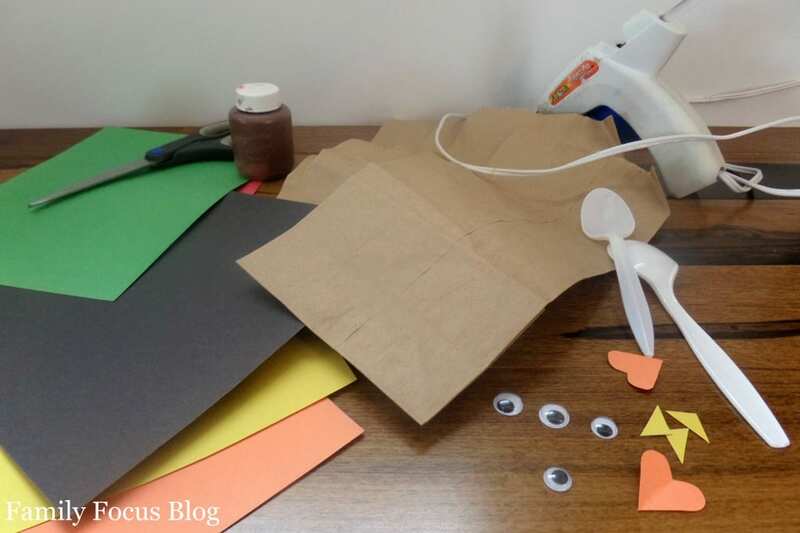 Using the hot glue, add the colorful feathers to the paper bag strips to create the turkey’s tail. Glue the feet to the bottom of the paper bag. Add the googly eyes, the beak and waddle to the plastic spoon using the hot glue. Cut a small slit in the front of the bag for the spoon to slip into. I added a small green bow tie to dress Mr. Turkey up a little bit for our special holiday. I also made a “Happy Thanksgiving” banner and glued this to the front of my turkey as well. 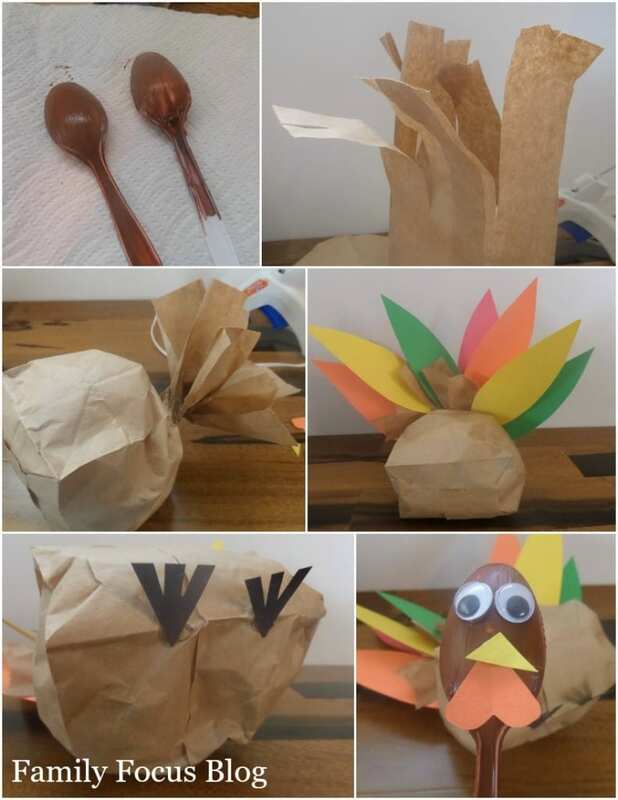 You could make several of these paper bag turkeys and add a banner with each dinner guests name for each place setting! So creative! 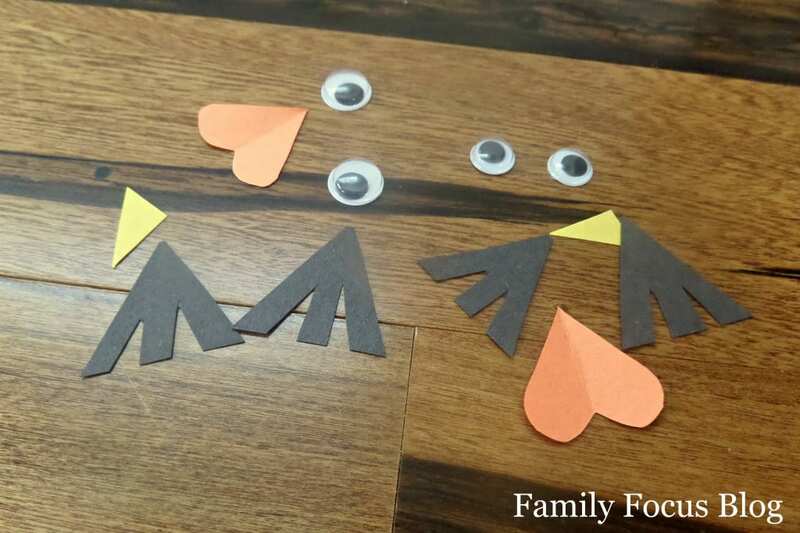 I just love this turkey craft for kids.